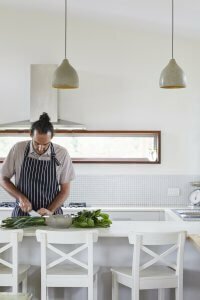 Byron Private values the role of a nutrient-rich, whole food diet in laying the foundations for mental, emotional, physical and spiritual wellbeing. We also understand that nutrient rich food on its own is not enough; the development and integration of mindful eating practises are at the cornerstone of your healing process. Having a non-judgemental and mindful approach to eating provides the grounding for a healthy relationship between your mind, body and plate. Each individual’s dietary needs are different and depend on a myriad of contributing factors, our aim is to work with you to explore what your individual needs are enabling you to connect to what your body is telling you. Our experienced and qualified chef will develop a weekly meal plan that focuses on delivering fresh, unprocessed, local, organic (where possible) meals that satisfy and nourish your soul. Meal times at Byron Private provide the opportunity to explore, connect and understand your relationship with food in a supportive and safe environment. Healing with food is possible for certain conditions. We appreciate the role that food plays in providing nourishment, satisfaction and connection and aim to instil dietary practises that are both balanced and sustainable for our clients into the future.